Vaccination is one of the most powerful and cost-effective public health measures developed in the 20th century. But unless Europe shifts towards a life-course approach and ensures equitable access for everyone, vaccination policies will fall short of achieving their full potential, writes Patricia Massetti. Patricia Massetti is the Associate Vice-President and European Vaccines Lead at MSD. She is also a Board member at Vaccines Europe, which represents the major European vaccine companies. Today vaccination is a key health policy priority for the EU institutions. This unprecedented moment represents a unique opportunity that should be fully leveraged. The persisting measles outbreaks, the gender inequity in access to the prevention of Human Papillomavirus (HPV) related diseases and cancers existing in many countries, the unreachable 75% vaccination coverage rate against influenza, and the lack of full commitment of healthcare professionals show there is a need for different vaccination policies in partnership with the member states. The attention paid to vaccination recently by the European institutions has been unprecedented, reflecting the broad consensus that something needs to be done urgently. 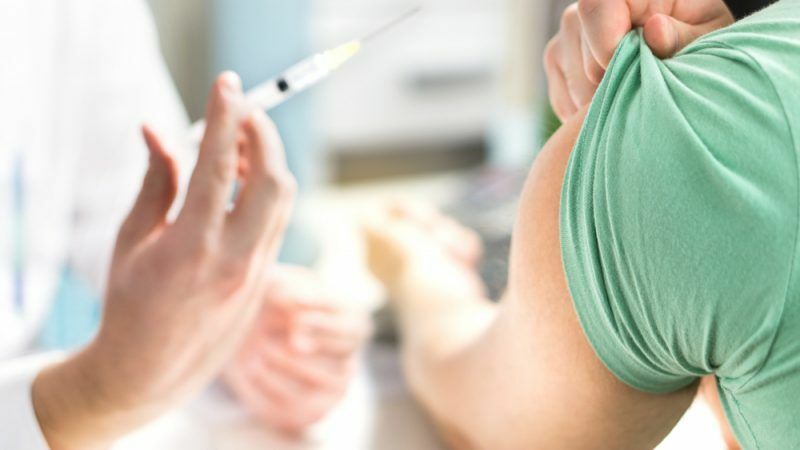 Last week, the European Commission issued a set of recommendations on vaccination including several ambitious and welcomed proposals on how to address vaccine hesitancy and enhance European vaccination policies. Only a fortnight ago, the European Parliament adopted a report on vaccine hesitancy during its plenary in Strasbourg. Looking to confront the issue head on, the report calls for life-course vaccination policies to emphasise community protection, disease elimination and fight against antimicrobial resistance. All of this attention is the result of unfortunate changes in vaccination programmes. Yet the benefits of vaccination are clear: immunisation programmes protect individuals from infectious diseases, as well as the public at large through community protection. Vaccination brings considerable savings to healthcare systems and societies. However, despite this substantial potential, targets for national coverage rates are being missed. For example, the unreached necessary 95% coverage for measles vaccination, ended with outbreaks notably in Italy, France, Greece and Romania, which led to avoidable deaths. With only five, six and seven EU countries providing funded vaccination programmes to prevent HPV related diseases and cancers in boys, varicella in childhood, and severe rotavirus gastroenteritis in infants respectively, important inequities in access to life-saving vaccines exist in Europe. Vaccine hesitancy is one of the reasons why vaccination policies are falling short of achieving their full potential. This is a complicated phenomenon, closely linked to health literacy, but often also related to individuals’ general distrust of political institutions and business. This is all the more so challenging that EU member states allocate only a very low level of funding in their vaccination programmes, i.e. less than one percent of the total national healthcare budget, showing the limited commitment they have towards this essential public health measure. There is a consensus that vaccination is one of the most cost-effective public health measures. Therefore, rather than being considered as a short-term cost, it should be seen as an investment in nations’ health. Thanks to vaccination, populations have been healthier, with individuals substantially contributing to social capital, productivity and nations’ wealth. Vaccination policies focus mostly on children, and to a lesser extent on adolescents, adults and seniors. When vaccination policies are segmented by age, they are not able to achieve their full potential. Yet risks of infectious diseases exist at any age and depend also on the individuals’ health status, lifestyle or occupation. For this reason, we need to shift towards a more holistic, life-course approach to vaccination. This consists of vaccinating people across their life-span and educating them about the importance of vaccination from childhood and into adulthood. With a life-course approach, people will be able to lead healthy and productive lives for longer. This will bring important benefits to the sustainability of our healthcare systems, with a lasting impact on both current and future generations. By educating people about vaccination from an early age, and continuing this into adulthood, we could fight vaccine hesitancy more effectively because individuals would be more health literate. The Commission’s proposal stresses that life-course immunisation should be featured heavily in national vaccination plans and suggests routine checks and regular opportunities to vaccinate across all stages of life, with these being integrated into schools, workplaces and care facilities. In conclusion, we are living in a period when there is a unique momentum in Europe. This will hopefully rally all stakeholders in building efficient vaccination policies. These policies should embrace a life-course immunisation view in order to create a Europe free of diseases that can be prevented through vaccination.